Phone Ninja is the best place to repair your Galaxy TAB 2 10.1 because we use high quality parts that deliver the same quality and performance as your original item. We of course repair all the smaller versions of the TAB 2 as well specializing in Screen Replacements. 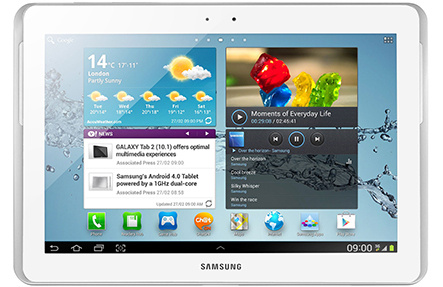 Bring your broken Galaxy TAB 2 10.1 to our tablet repair store to get our complete repair service. We promise a fast turnaround and 3 months warranty on all replaced parts & labour. Whether you have a broken Touch Screen, smashed LCD or a software issue, Phone Ninja is the place for you! SPECIALS: TAB 2 Perth’s Cheapest!